An onion-shaped turned foot of the Early Renaissance not very much used after the William and Mary Period. A flattened disk-like foot often found under a cabriole leg. It is similar to a club foot. Sometimes a club foot resting on a disk is termed pad foot. A foot carved to resemble an animal's paw, most frequently that of a lion. Above it there is generally carved leafage. A club foot with a more pointed and protruding toe. Popular in Queen Anne period. Foot carved to look like snake's head. Narrow elongated foot swelling slightly upward before pointed end. Commonly found in Hepplewhite and Sheraton designs. Derived from Irish furniture design. Used on Louis XV (Rococo) substyle pieces. 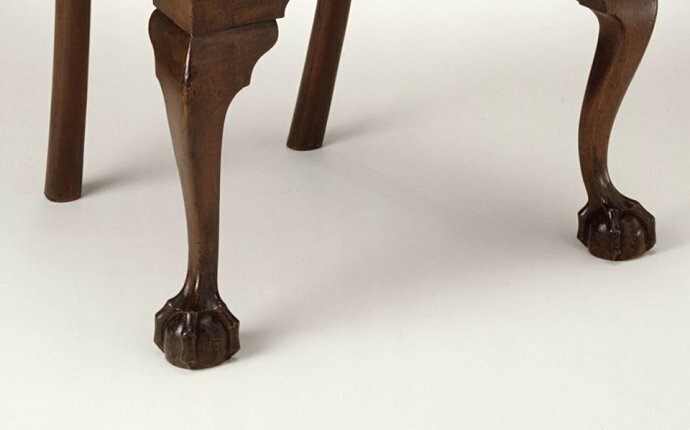 Many of the drawings in Thomas Chippendale's Gentleman and Cabinet Maker's Director in 1754 feature whorl feet.